We read this review in your voice, Lindsay. What beautiful words from a beautiful person. Thank you so very much, and the feeling is so mutual. We adore you both. Every time you left the office here, we were all smiling. You are truly a bride and groom who just “got it.” Fun, energetic, charismatic, in love, joyful. As the years go on, you see couples who get so stressed about planning that they miss the point of the day. You are certainly a couple who took it all in, and projected out pure bliss. There were things about your wedding that just stood out. Not only that amazing groom’s cake of “Beer & Wings” but The Pipes and Drums of the Emerald Society was such a special touch to the wedding. One that the guests and our staff really enjoyed. You will stay in our memories always, not only for being so fun, but also for being so competitive. 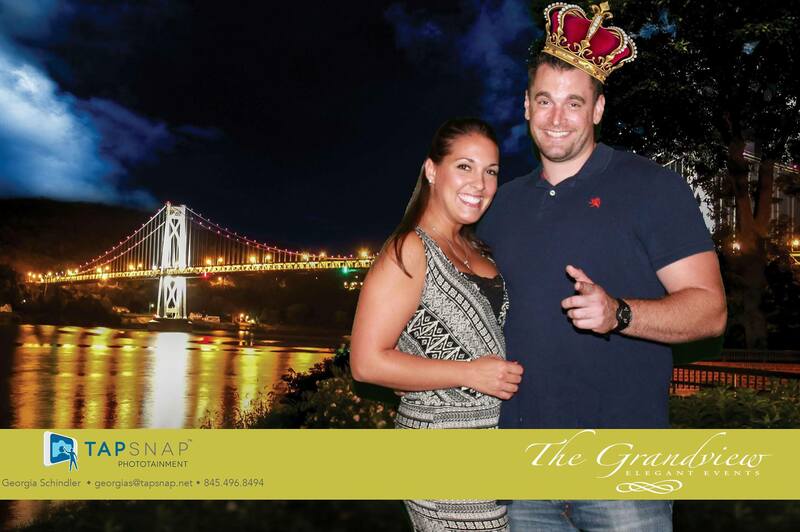 Who could forget the “Battle of TapSnap” at our 2015 wedding show? 548 LIKES!!! Hope you enjoyed every bit of that Gourmet Ice Cream bar. You earned it! 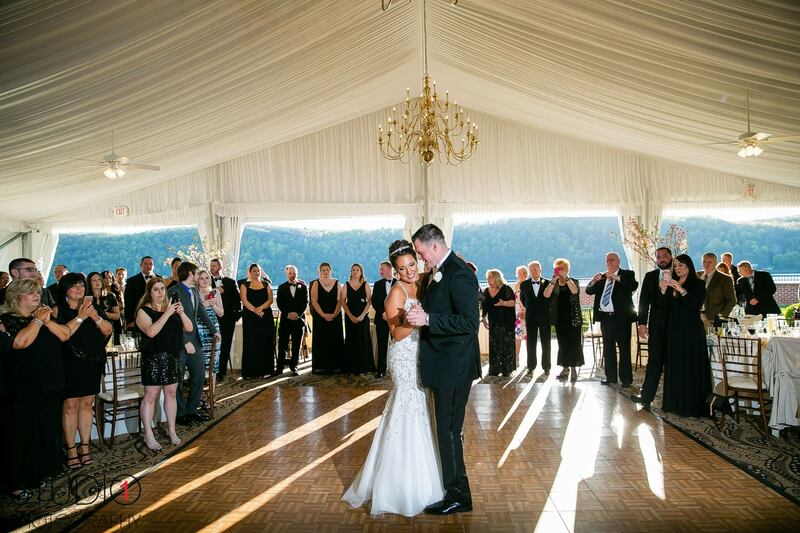 A lifetime of happiness to you both, and we are here when you need us, to celebrate any anniversary you want! Amazing Job Team!!! Home Run!!! I don’t even know how to begin reviewing the Grandview. My husband and I stood in awe at one point during our reception looking around at how absolutely perfect everything was! Our wedding was in the Outdoor Ballroom in the end of April, 2016. There is not one single detail or thought that the staff at the Grandview misses. Each person is more competent and helpful than the next. We have received countless compliments on how fabulous the food was, how beautiful the venue itself was, and how fantastically attentive the service staff was. We had the privilege to work with Margaret (who is so warm and kind and always offering a big hug while being the most efficient person ever), Michael (our incredible Maitre D’ whose behind-the-scenes coordinating resulted in a completely flawless evening; every single thing he said would happen, happened according to plan and he was always there to give us a heads up on what would occur next and when), Casey, and Gabby at different times. They are the most accommodating, personal, efficient, and genuine wedding professionals we could have hoped for. During the planning phase, what stressed me out the most was people asking me a hundred different questions all the time, and me not always having all of the answers. Each time I visited the Grandview, (whether for a tasting, to show my family, drop off a deposit, or meet with their pastry chef), I always left feeling significantly less stressed than when I arrived. I would always tell my then, fiance, “I just love being there, because when I’m home everyone asks me questions… and when I’m there, they have all the answers.” That speaks volumes to a planning couple! I’d like to extend a huge compliment to their house pastry chef, Casey. I wanted to get a groom’s cake for my groom, so I contacted a few bakeries to see if they could create this awesome “buffalo wings cake” that I had seen online. When I emailed Margaret to see what time on the wedding day it could be delivered, she said, “Do you want us to make it for you?” At that point I had no idea that they made specialty cakes. Well, they do. I emailed them a photo of a cake made to look like buffalo hot wings, and Casey totally nailed it. She’s amazing, and it looked and tasted delicious. 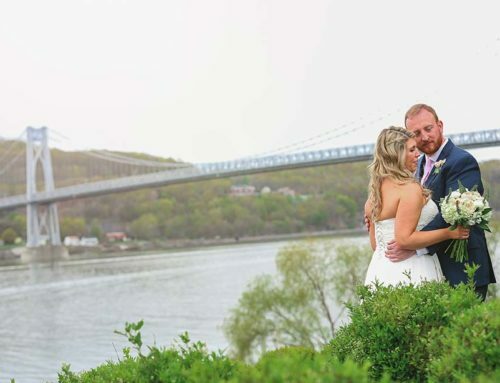 Booking with the Grandview was the best wedding decision we made. We had zero stress or concern about our venue from the day we left a deposit. The Grandview and its staff are exceptional all around. The Smyths are forever thankful and grateful.